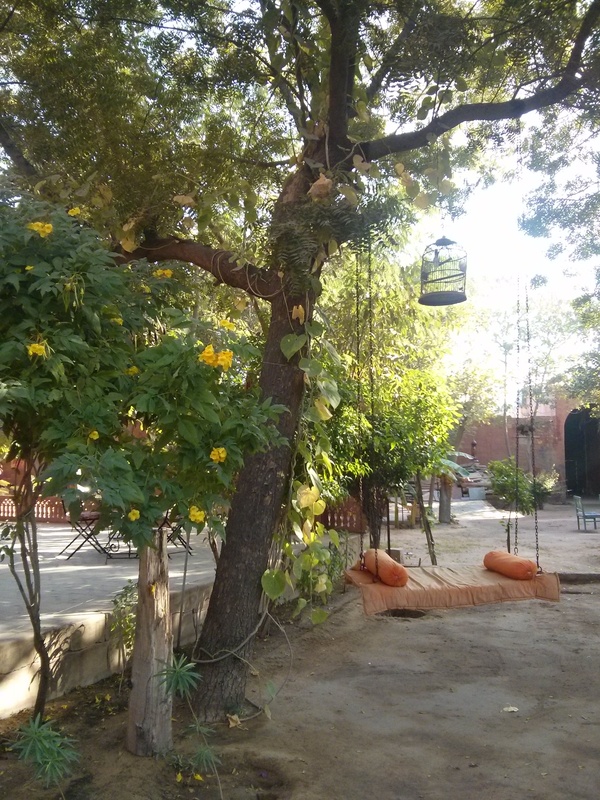 The last leg of our week-long trip to Rajasthan was Bikaner. 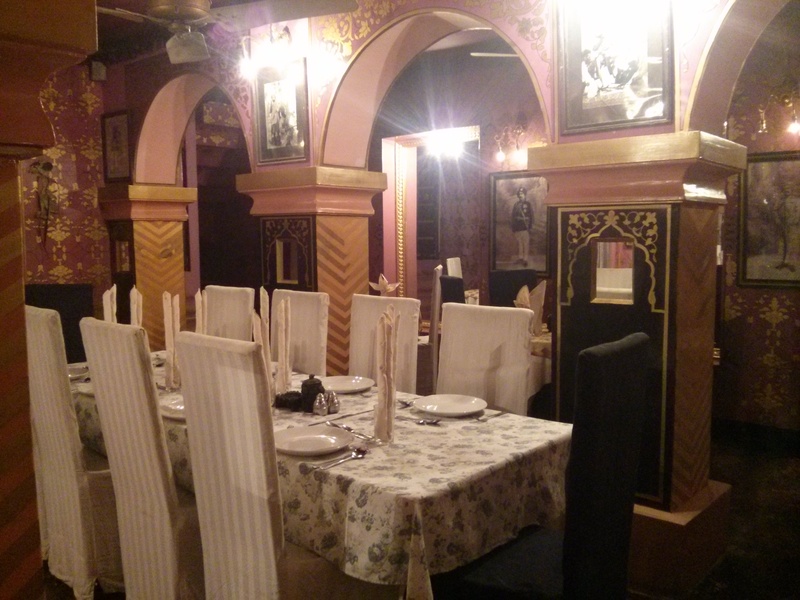 It took us 5 hours to reach Bikaner from Jodhpur. En route, we made a quick stop at Karni Mata temple at Deshnok. The temple is dedicated to a female Hindu sage called Karniji. 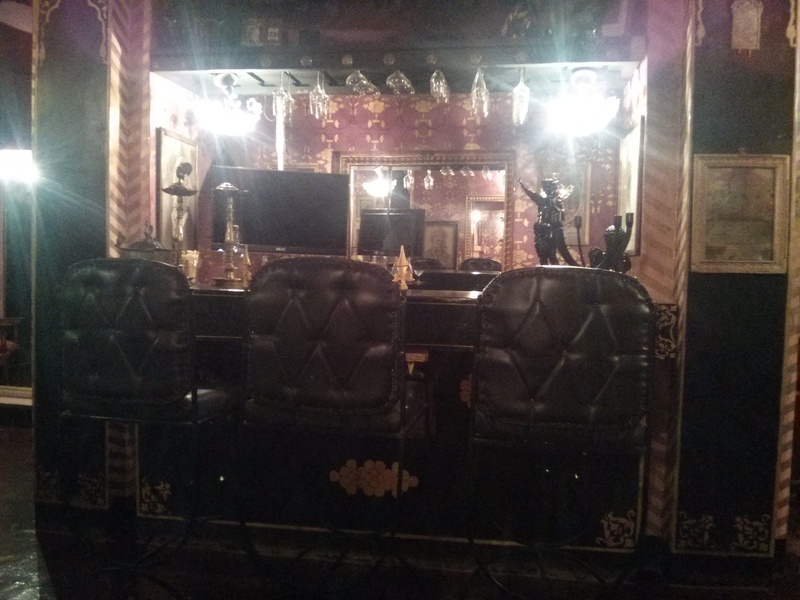 It is also known as the Temple of Rats, as it is famous for its black rats, which are treated as sacred. It is considered to be auspicious if one can spot a white rat amongst black rats in the temple premises. We could see devotees offering food to these rats, and we also learnt that, if someone accidentally steps on a rat, a gold replica has to be presented to the temple, to compensate for the lost life! Most of the route was desert sand and clear blue sky. We could hardly spot any clouds as if a proof for the arid climate. Being a desert scape, the summers are scorching in Bikaner and the best time to travel is in winters when the weather is tolerable. 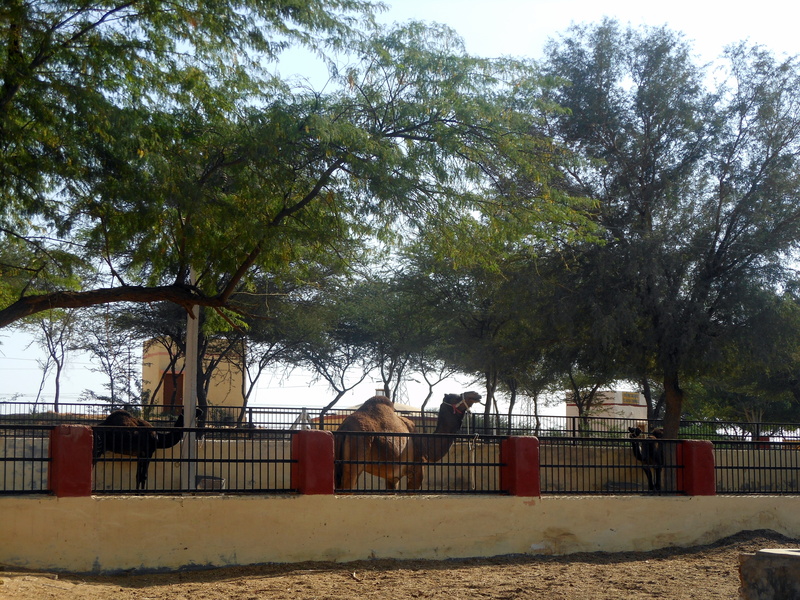 Upon arriving in Bikaner, we paid a visit to the Camel Research and Breeding Farm. 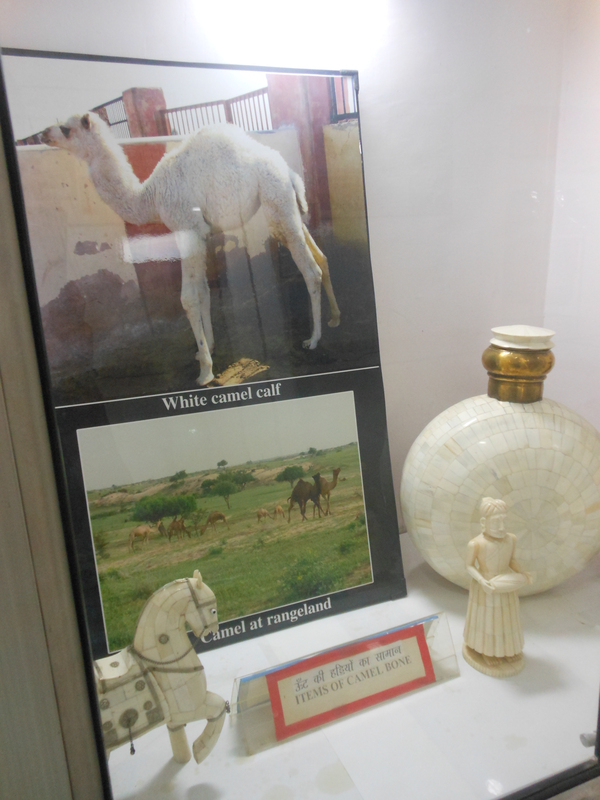 The government-managed research centre is only one of its kind in Asia, where they carry out breeding and training of camels. 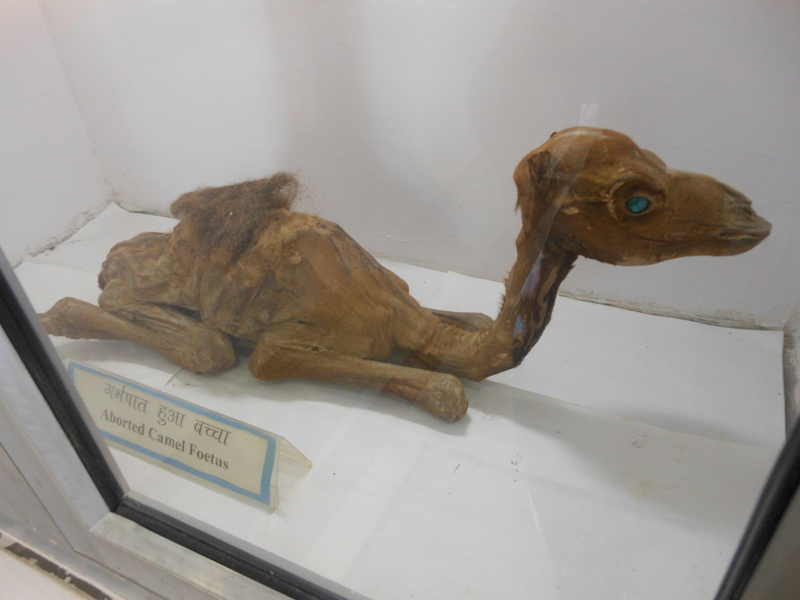 The research centre has a museum which exhibits photographs of different varieties of camels that are bred, artifacts made out of their skin and bones, pictures of the annual festivals that are held in the Thar Desert, varieties of food that are grown and fed to these camels, aborted camel foetus etc. 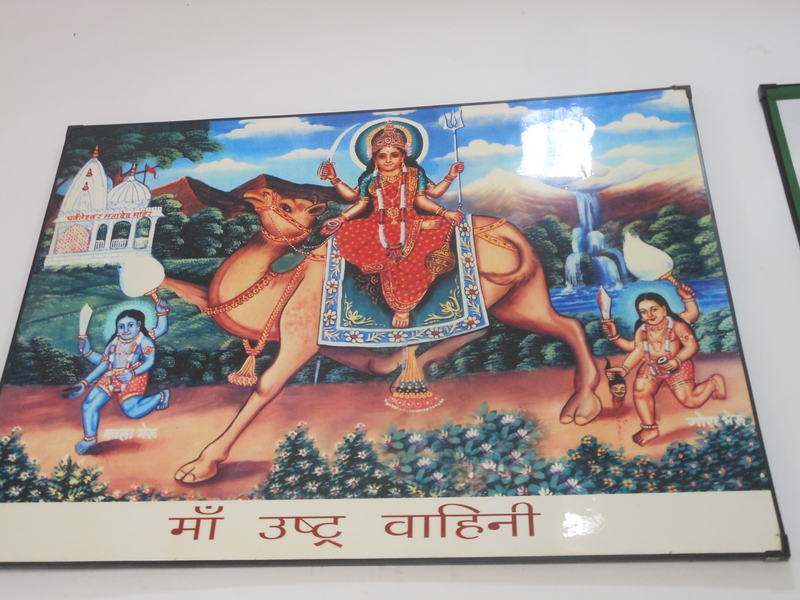 It’s only here I learnt that there’s a family deity of the Pushkarans called Maa Ushtravahini, or the one who rides a camel! 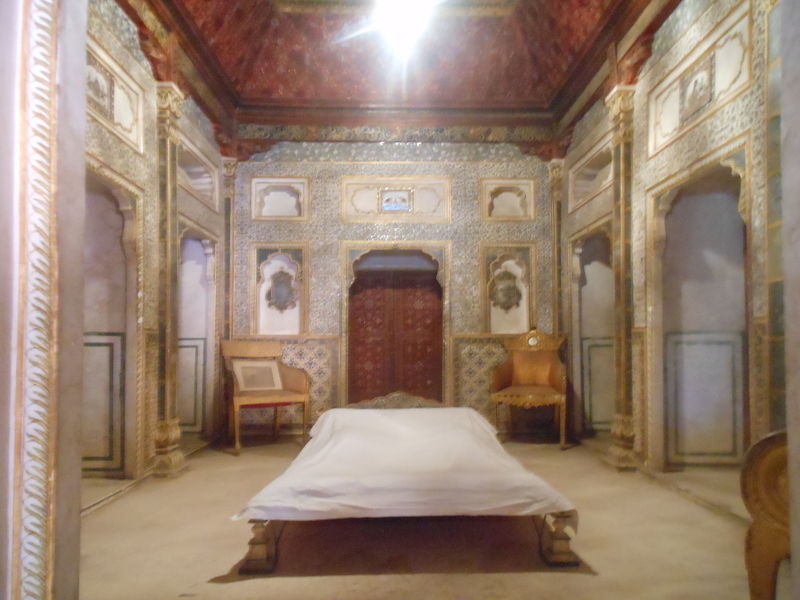 The next attraction we visited was Junagarh Fort. Yes, yet another fort! Remember we are in the land of kingdoms. 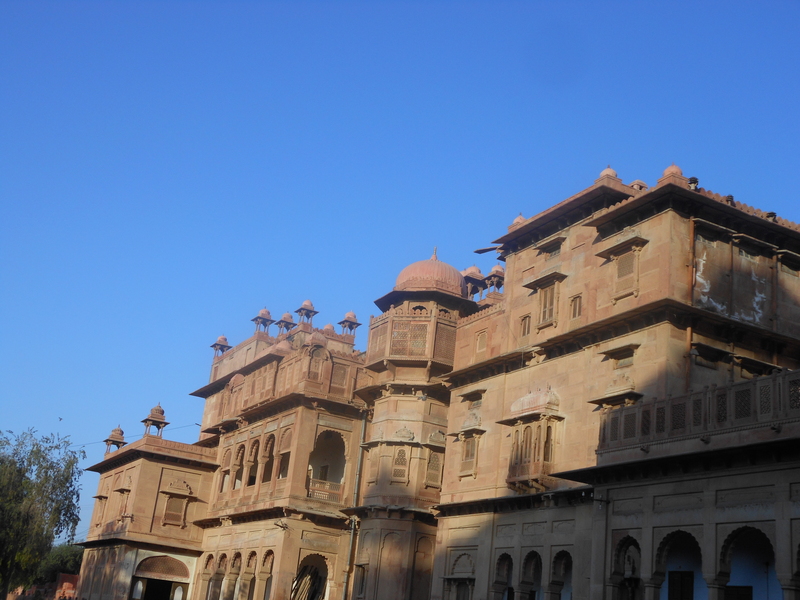 The Junagarh Fort was built by Rai Singh, the sixth ruler of Bikaner in the 16th century. 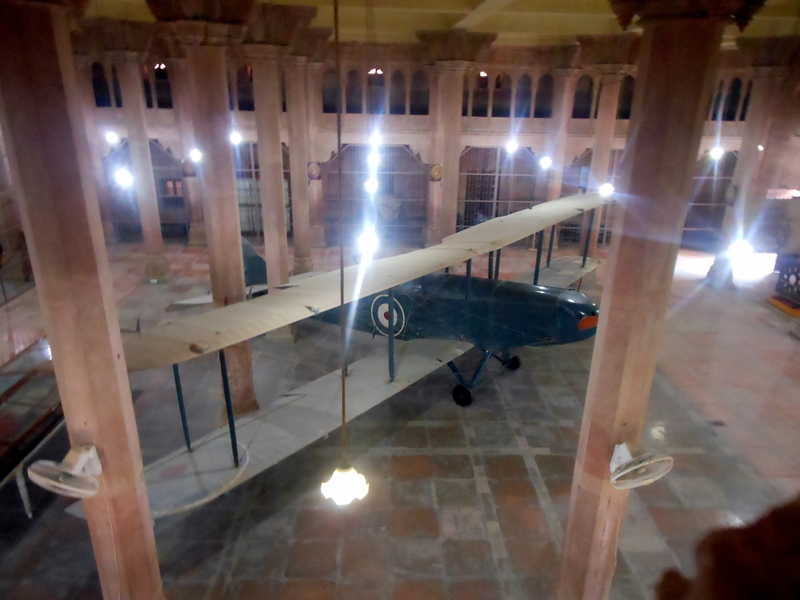 The fort has been the residence of 20 rulers of Bikaner till 1920! Various rulers have added many palaces to this fort. 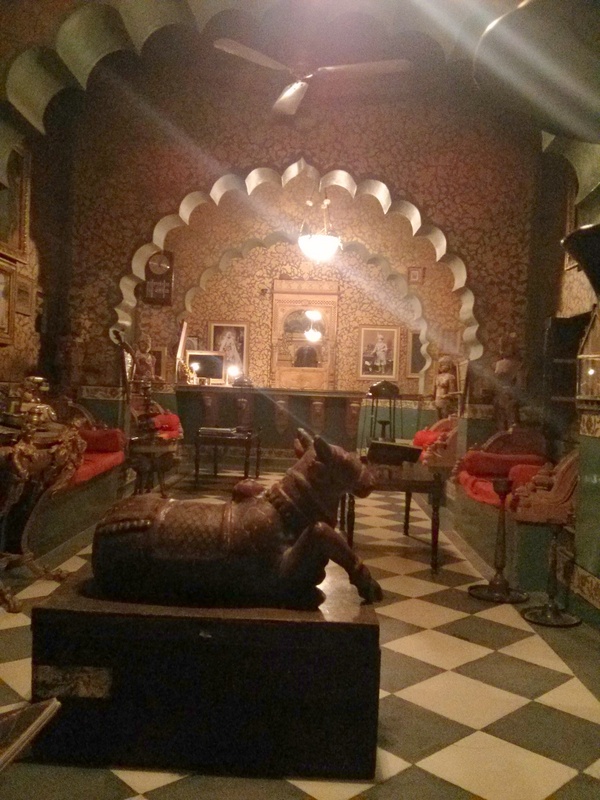 Every king built his own separate set of rooms, not wanting to live in his predecessors’ rooms, which has added diverse architectural styles to the fort hence a true depiction of composite culture. Below you can see one of the bedrooms with a low-lying bed to prevent intruders from hiding below the bed to attack the Royals while asleep! 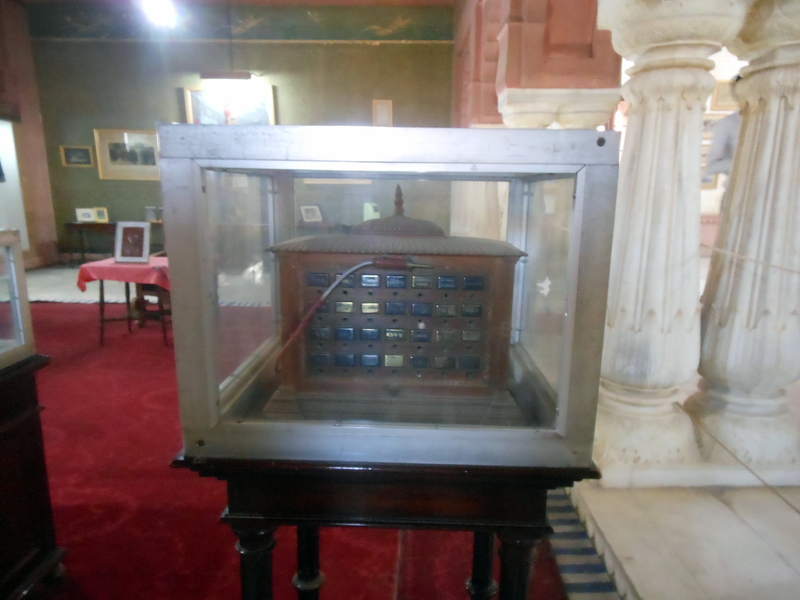 The museum within the fort called Junagarh Fort Museum was established in 1961 which exhibits royal costumes, jewels, armoury, palanquins, portrait gallery, aircraft, telephone exchange and also Sanskrit and Persian manuscripts. 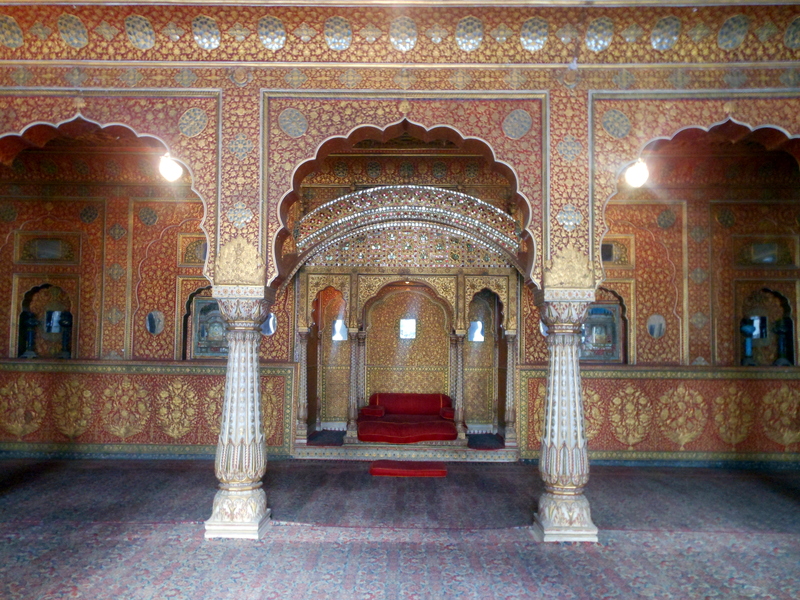 Although many battles have been fought, no enemy was able to conquer Junagarh fort. 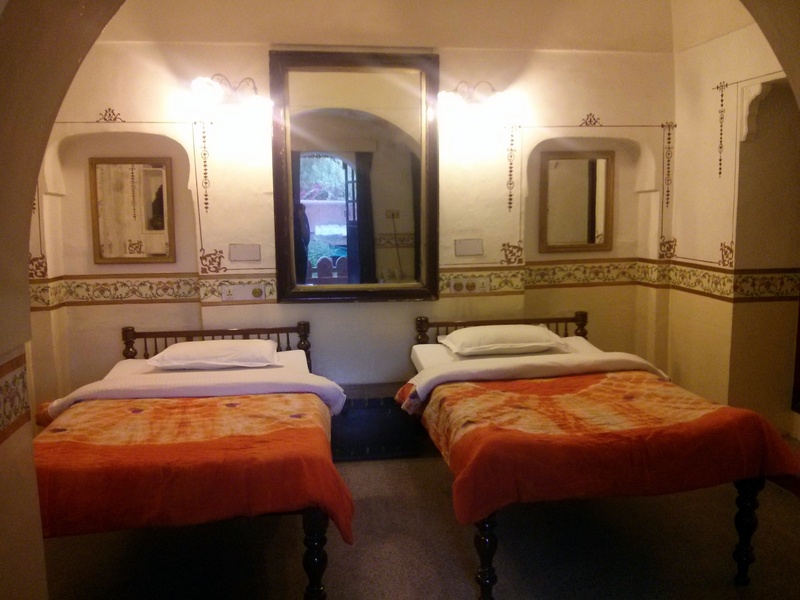 The most exciting part of Bikaner tour was our stay in the heritage hotel called Bhairon Vilas. 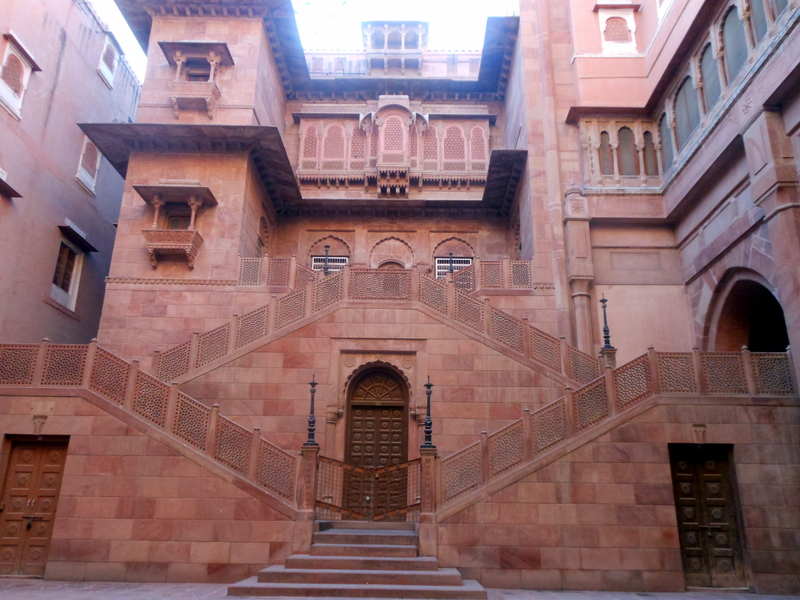 Bhairon Vilas haveli was the personal residence of Maharaja Bhairon Singh, Prime Minister of the Royal Kingdom of Bikaner, now converted to a hotel.